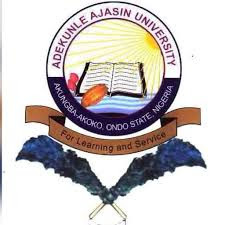 This is to inform all students of Adekunle Ajasin University, Akungba-Akoko that the Management of the University at at its meeting held on Tuesday, 25th September, 2018, considered the above subject matter and note that less than 30% of the students have completed their registration for 2017/2018 academic session. The Management after a careful deliberation, approved 12:00a.m. on Tuesday, 9th October, 2018, as the deadline for the closure of the edu-portal for 2017/2018 session which will be strictly adhered to. By a copy of this circular, the Acting Director, Information and Communication Technology Application Centre (ICTAC) is being mandated to generate e-clearance for students who have completed their registration for the current session three (3) weeks to the second semester examination. The e-clearance generated by ICTAC will be used during examination and only students who have the e-clearance will have access to results henceforth. All students of the University are therefore requested to comply with this circular by completing their registration formalities on or before 9th October, 2018. Read Also: AAUA School Fees Schedule.